Don’t we all deserve the chance to experience life the way we want to experience it? Life is too short to suffer through; we might as well try to enjoy it as well. Listening to The Big Drops’ debut album Time, Color is like slipping into a dynamic fantasy dreamworld, where we can close our eyes and just be – if only for a little while. Sit back, relax, and sip a little sunshine with The Big Drops. Atwood Magazine is proud to be premiering The Big Drops’ debut album, Time, Color (independently out June 23, 2017). Started out of a log cabin in 2011, The Big Drops consists of brothers Greg (lead vox, rhythm guitar) and Vramshabouh Kherlopian (lead guitar, backing vox) alongside drummer Caleb Estey and bassist Steve Donahue. 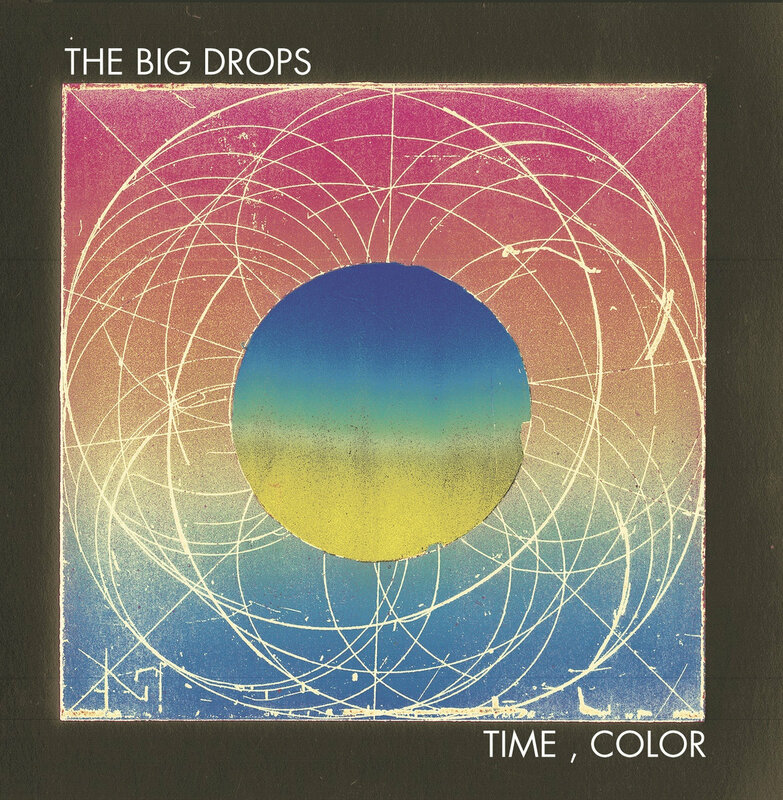 The Big Drops’ music is as colorful as their vibrant album art: Time, Color offers a dash of rock with a splash of psychedelia and a burst of folk, sprinkled together with dustings of electronic, pop and jam-band to hold it all in place. – but perhaps we can still find joy in life. Why do we feel the need to actively draw rainbows, if they occur naturally” “Life is complex and beautiful, is the theme,” explains Vramshabouh of the album. The deeper we delve into Time, Color, the more in unveiled about The Big Drops’ exploration of our humble existence. 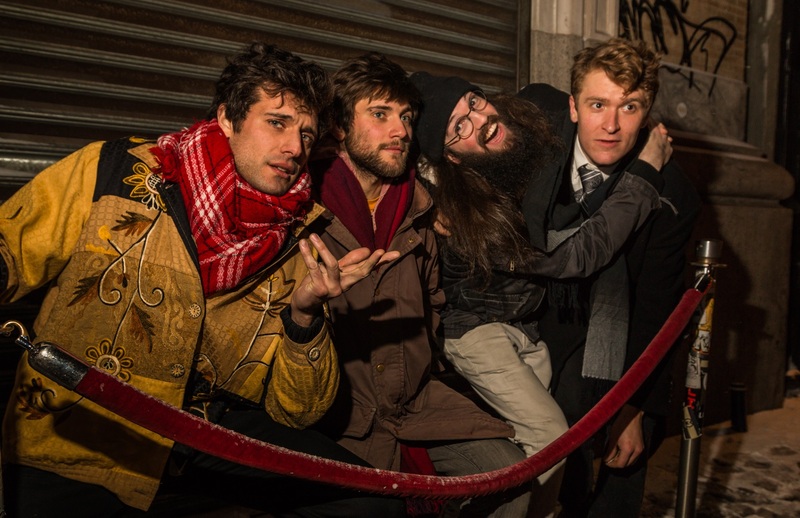 We embrace the moment on “Baskets of Love,” a surf rock-inspired, one-way love song. “By the Water” gets lost in reverie as clouds form above a once-sunny skied relationship. Some things i don’t forget and it looks so clear. The acoustic folk song “Watcha Know” smiles for the sake of smiling, layered with thoughts and emotions we may never understand. “Gong Gong Jar” steps similarly in line, embracing the lighter side of life for the sake of being happy. A two-minute trance of guitar and droning keys re-instills that faraway calypso element, and we imagine what it might have been like for a 20-year-old Brian Wilson to experience life and music in our day. The Big Drops trip us up with the jazzy “Boyfriend Talk,” which feels so out-of-place that one might think it a mid-album commercial upon their first listen. However, penultimate instrumental track “Maybe in a Year or Two” faithfully reel us back into the dream for one last dance. An absolute standout on the record, “Maybe in a Year or Two” manipulates music in the same way the band manipulates words on other tracks: The tune is absolute poetry, and mesmerizing and refreshing journey of stringed wonder. Our foray into The Big Drops’ world ultimately times out with “Lately,” a literal wake-up call that plucks the narrator from the dream, reminding us (and him) that this is all a distant memory, an adventure that had to end sometime. The band strip everything down, and walk away without a fuss or fight – for here is something we can always dive back into whenever we need a moment’s respite. The album fades back in for a quick second, offering the sounds of a warm ukulele content in its solitude. It’s not an unhappy ending, and yet it’s not necessarily a “happy ending” as one would picture it. The moral of the story is, enjoy life. Wherever you are, whatever you’re doing, there is beauty in the world waiting to be found. Live it up, and live it well.